the natural wonders in our midst. to care and to invest in time together. ​in this little corner of West Virginia. The practice of yoga offers us help today. Practicing postures and movements that gradually increase our strength and mobility frees us to enjoy our daily activities with more enthusiasm, more energy, and more joy. Practicing breathing helps us to focus our attention, refine our focus, and allows us to truly see with a new set of eyes. 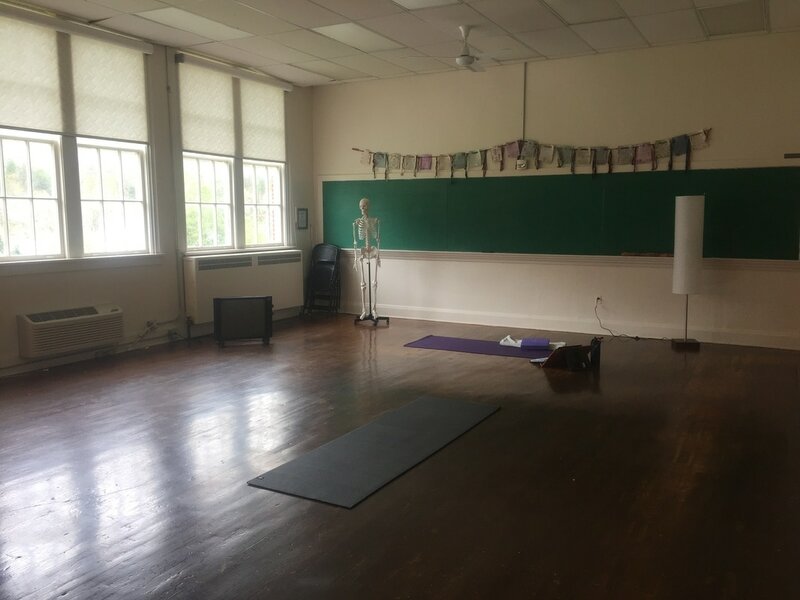 Mountain Yoga is wonderful place to begin a yoga practice--beginners are welcome and valued by an instructor who enjoys helping people take a first step toward flexibility, even if they haven’t exercised for years or have physical challenges to work around. Mountain Yoga is also an appropriate place for people further along in their practice to experience community and be kindly challenged to grow in mental and physical strength. "I bumped into Lisa Mallow by chance one day in Franklin while visiting family, and we talked briefly about my ongoing struggle with sciatica. I was amazed when Lisa asked if I locked my knees while standing at work. Yes--I did. She made two suggestions for my every day posture. As I've worked to implement those changes, my leg and hip pain has diminished. I don't even live in the area, but the conversation has made a big difference in my health. Thanks Lisa!" Sign up to receive Lisa's newsletters. Please note-these updates will be sent every couple months-as to not crowd your inbox with too much mail.